We all know that travelling is a wonderful experience, and we also know that today technology has an important role in facilitating certain aspects of our trips to make things easier. So, Elemento Natural wants to recommend you some of our favorite apps for travelers, especially if your next destination is Costa Rica! 1. Evernote: This is an ideal app for the organized traveler: you can easily create and organize your itineraries, addresses, contacts, lists and even your first drafts with the key notes you took. Evernote allows you to create and organize your information in different notes, you can even add audio, images or attach files with important information. You can synchronize easily several devices and then enjoy your vacatios to the fullest. 2. Waze: This is the most valuable road companion! Waze facilitará will make sure you find your destinations that you want to reach and will let you choose the best routes to avoid heavy traffic, especially during the rush hours. If you like to drive and use your own means to transfer from one place to another, this is an app you must have in your smartphone, search your destination point and let the adventure begin! 3. Instagram: Instagram is more than the filters you can apply to your pictures. It can be your perfect photo album to remember all those amazing moments during your travel: take a pic, share it with your community, show them all the different places you have been to from your perspective, share how beautiful Costa Rica is, so it becomes the next dream destination for your family and friends. Also, look for those exotic places showing up on the “trends” from the instagram search. We can´t forget the food! How about express delivery from your favorite restaurants from an app? This is possible in Costa Rica with Qué Comemos? Order food online, with the full menu at your service and with no phone calls. Just keep enjoying your vacation while the food travels to you, and Bon appetit! 5. Uber: transfering from one point to another in Costa Rica can get tricky sometimes: if you need to do short trips, if you don´t want to drive or if you are just looking for a reference point to start enjoying San José´s hotspots, then Uber is your best and affordable choice for private transfer. 6. Spotify: We can´t forget the music! Make your favorite playlists, choose the mood of the music according to your day´s destination or have a blast with a carpool Karaoke with your friends, while you reach your next stop. In Elemento Natural we love good music, so it is a must in each one of our “rides”. Choose between thousands of songs and free music from your mobile device and may the music be with you! 7. Yapp! : are you looking for the best optoins to eat locally, enjoy Costa Rica´s nightlife or just discover what´s on for tonight? Yapp! offers a guide of events close to your location so you can keep on enjoying Costa Rica. Additionally, through its web extension you can buy online tickets to concerts and other events available in Yapp! Today more than ever, internet access is one of the key things for a traveler, no matter where he/she is. However, access and roaming charges can skyrocket when you are not in your country or region: and this is where free wifi becomes a plus anywhere we visit. Wi-Fi Finder helps you find free wifi close to your location, you just need to scan the area and the app will show you where to go nearby. Download Wifi-Finder: Available for Android. Do you usually forget something when you travel? No worries! We found a solution with Packpoint, the most complete travel list for your next trip. Packpoint will help you make a complete list, orderly, of all these items you must bring with you on your travels. First, you define what type of trip you have, your destination and the long of your stay. Then you can specify the type of activities and finally it will give you specific lists and ideas of the things you can´t forget, Et voilà! 10. Ojeadores de Árboles Mágicos. This is an app from the Magical Trees Foundation, that will help you identify tree species by the color of the flowers, by region: you can discover interesting facts about hundreds of trees in Costa Rica. It´s a perfect way to reconnect with nature and become a botanical amateur! 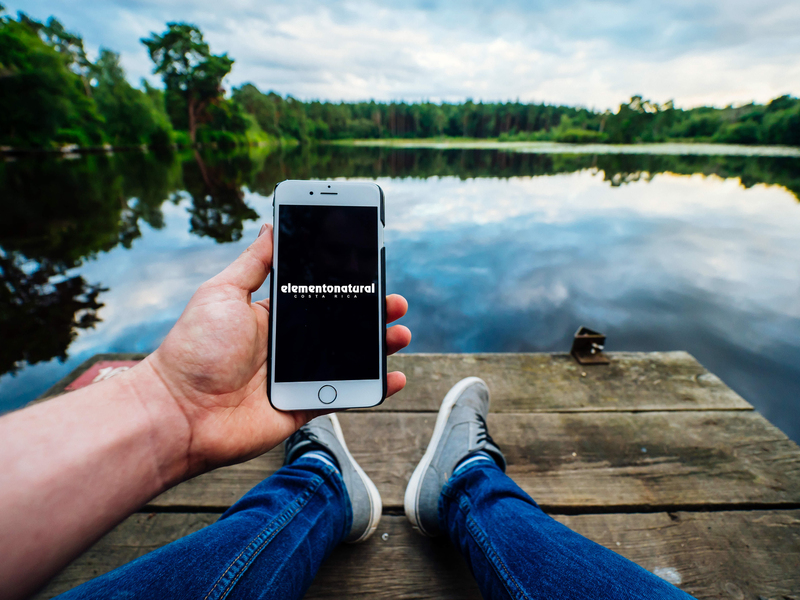 If you have a smartphone and you like travelling, don´t think it twice and download all these apps that Elemento Natural recommends you. You know you can´t get tired of travelling, so you need to benefit from technology in each of your trips.